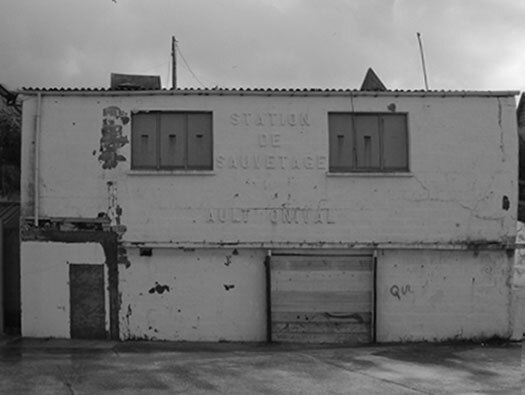 Ca13 Ault, StP.Gruppe Cayeux, K.V.A. 'E1'. Picardy. 1 x Pz. T 3.7cm 144 (f). Pz. T 3.7cm 144 (f) in a Vf67. Being battered by winter storms. Part of Ault/Onival a Victorian Gem. R612 Casemate for an assault gun a 7.5cm F.K. 231(f). Another captured French field Kannon based on the week known French 75 which may have had rubber tyres and drawn by a lorry and not horse drawn. Plan of known bunkers in Ca013. This is the rear entrance where the gun would have had access to the gun room. An R612 showing the rear door. How the gun room may look. Now this is a small attached room to the casemate which could be a crew room or extra ammunition? The entrance into the small room. Thank you Micort. R612 with the added room. Plan of the Ca013 R612 as you see it has an extension on its right side. Plan of a standard R612. 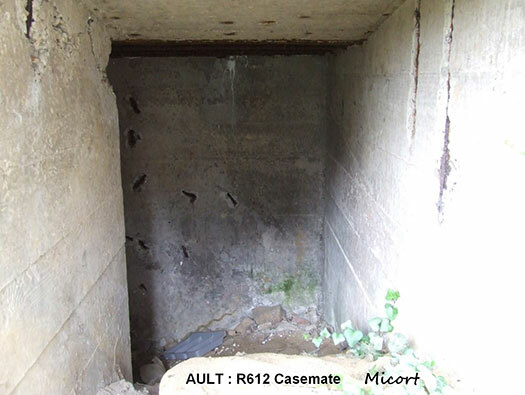 R612 casemate set up on the bank. 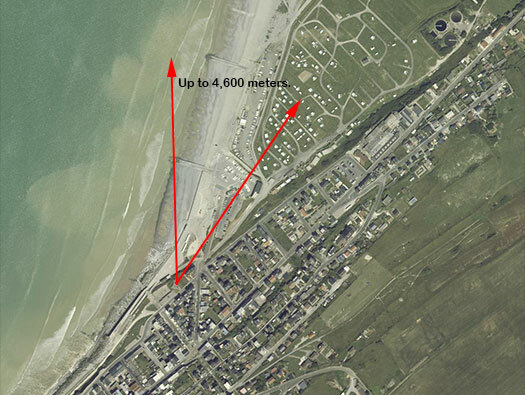 This is the area down the beach that the gun would cover with a range of about 4,500 meters. 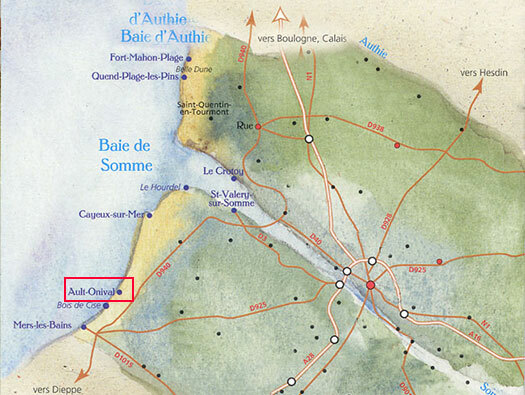 This is the area it covers. Looking up at the embrasure. Could be used as a fire control, machine gun or just a lookout. Vf5b garage. + observation as well. 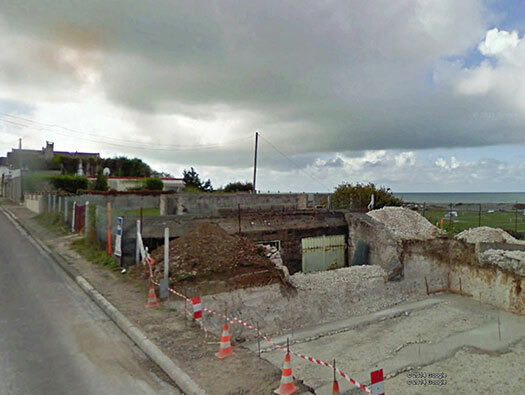 This picture is before the house was built and just the foundations dug and has removed some form of observation. Vf5b with a 3.7cm anti-tank gun..
And this is after the work was carried out. Anti-tank gun garage bunker, bomb-proof. 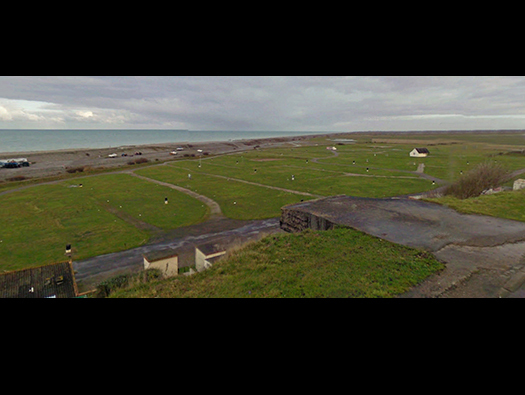 Vf5a at StP09 Utah beach showing how the smaller version 5a with thinner concrete. Note to niche for the barrel to go in.